In our day-to-day here at Fractl, we actively strive to improve on every step of the marketing process. It’s crucial to consider each moving piece of the assembly line as equally important when approaching your outreach strategy for sending engaging content into the world. The pitch is a major root of the entire promotions phase, allowing the marketer to make their case on behalf of the content. When creating a successful pitch, marketers have spent much time and effort into trying to figure out what works. The way you construct your pitch can either lead you to success with publishers or become the reason for a campaign’s downfall. Determining which traits comprise a successful pitch is extremely valuable to any digital PR professional. 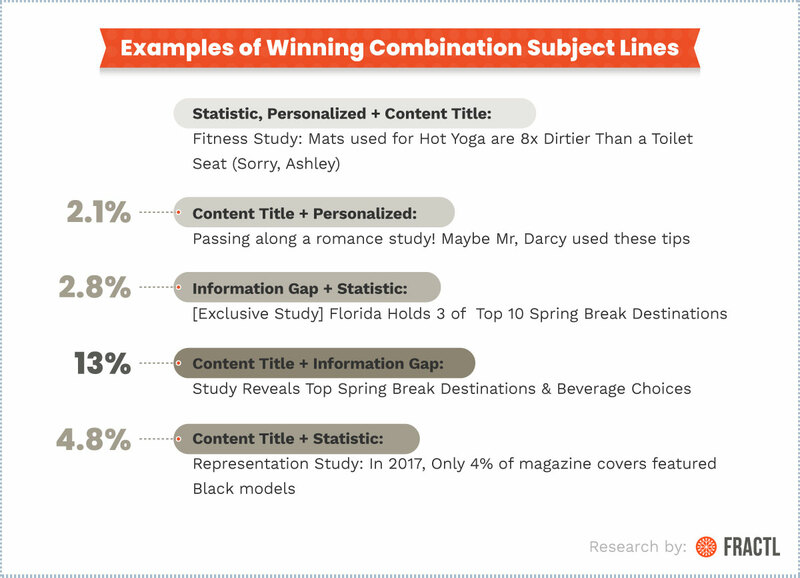 In this new research, we analyzed each step in how we construct every part of the pitch: creating a captivating subject line, including key details in the body, and mastering the close. As we examined 150 successful pitches that Fractl earned coverage from over a three-month period, we discovered trends that create a framework for a successful pitch from start to finish. A summary of our findings can be found below. 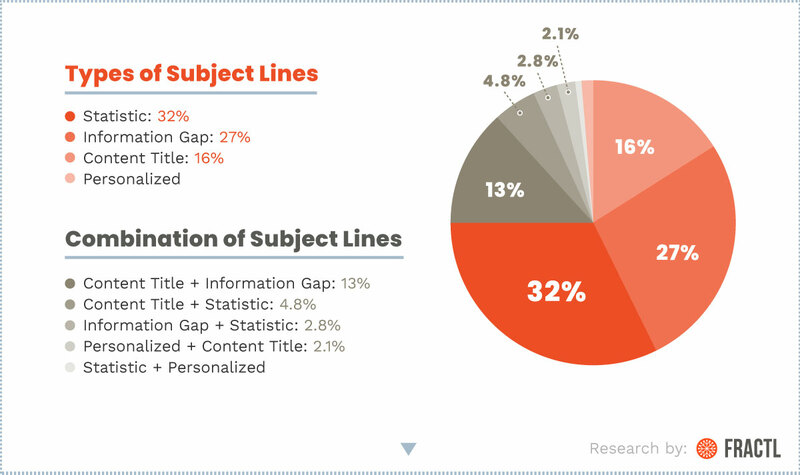 To learn more about how to craft the perfect subject line and how to define these categories, read our email pitch study here. 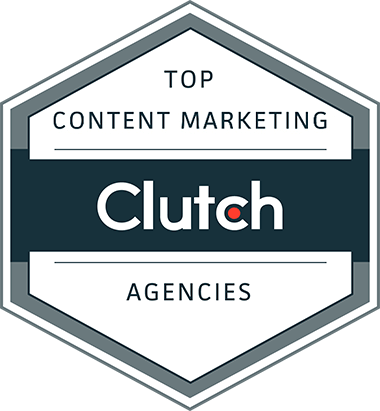 We found our team often utilized a combination of the above types to create truly compelling and open-worthy subject lines. All of the above are examples that resulted in placements. Get creative with your subject lines for ultimate success. 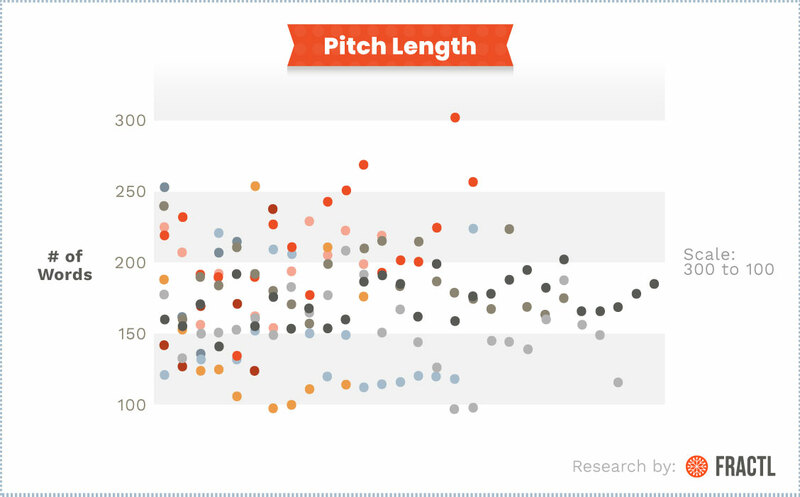 Pitch Length: What Do Publishers Desire? Pitch length is important. The majority of journalists would like to see pitches that are 100 to 200 words long. Our team’s average pitch length was 174 words, with some pitches containing more detail than others and others short and to the point. Even though our team often pitches very complicated and data-heavy content campaigns, we manage to say under 200 words most of the time because we use bullet points. The Perfect Close: What Does It Look Like? When conducting this survey, we sought out to find the answer to the question: What types of closings are favored? 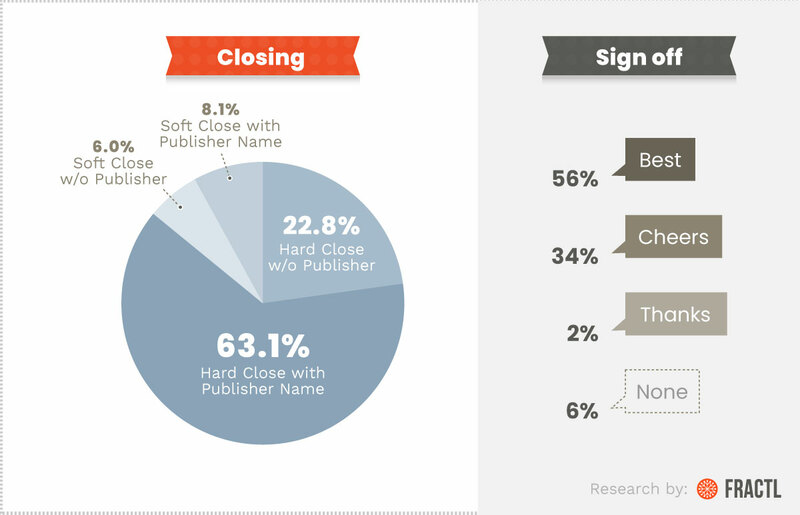 We used the sales model of closings and defined closings by “hard close” and “soft close.” Then, we indicated whether the name of the publisher was included. We also looked at different sign off messages to establish consistency in successful pitches, all the way to the last word. Who you contact is just as important as the content of your pitch. Reach out to the wrong person, and your content will never see the light of day. 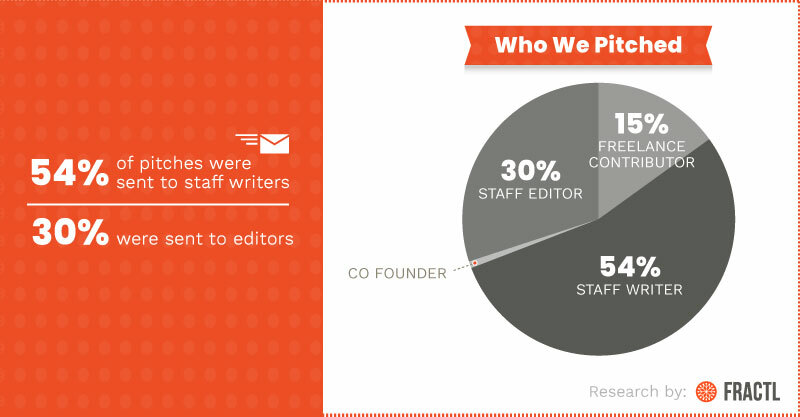 More than half of the time, our team pitched staff writers as opposed to editors or freelancers. When trying to nail down the secrets to a successful pitch strategy, there is no real black-and-white answer. It’s dependent on a range of variables including who you pitch, the words you choose in the pitch, and the content itself. Establishing trends and variances can better help us evolve as a marketing agency and bring newsworthy content to the right publishers. Did you enjoy this research? Discover more of our cutting-edge, industry-leading studies into the world of marketing!